Linda Peters Chrzan is a highly-qualified and dedicated attorney supporting clients in Family Law, Trusts & Estates and Collaborative Divorce cases. 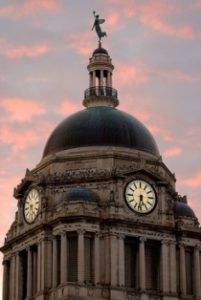 Based in Fort Wayne, we have 30 years of experience in the courts throughout all of Indiana. Our approachable attorneys immediately put you at ease about your legal problem. We are focused on making a brighter future for you. Please read our profiles to get to know us better. Trusts & Estates: Our compassionate attorneys represent clients in estate planning involving taxes, guardianships, living wills, living trusts and wills. We provide effective representation and reliable advice on all aspects of trusts and estates law. Collaborative Divorce: For many couples, litigation is not the right option during divorce. Collaborative divorce encourages communication and cooperation between the divorcing parties. The understanding attorneys at our firm guide clients through the collaborative divorce process. When you work with Chrzan Law LLC, you can be assured that your attorney will answer all of your questions and keep you informed about the progress of your case. Chrzan Law LLC cares about your personal situation. Let our lawyers help you achieve peace of mind. You are always welcome at our offices, conveniently located in Fort Wayne. Call the firm at 260-407-1049 to arrange your consultation or contact the firm online.